Gales to the north and south of us starting Saturday night produced strong winds, that have stayed with us all week. Four days of 20-30 kts; possibly lessening on Saturday. 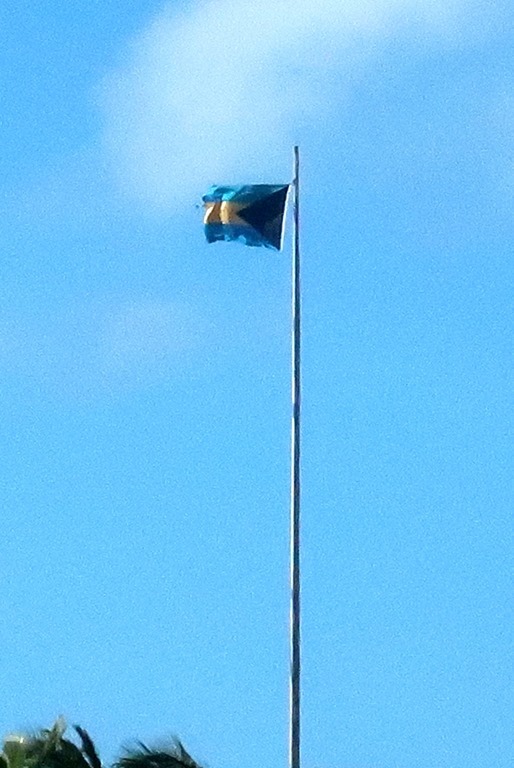 This flag is standing proud – leaning upwards from the flagpole – means it’s really blowing. The wind caused today’s sailboat race to be delayed until, possibly, Saturday. It also caused Goldwin and me to be on deck at 2am last night — luckily not in the dark due to the big moon – lashing the mainsail cover in place (to keep it from flying off the boat), adjusting the topping lift (because it was banging against the mast) tying off the tiller (so it wouldn’t smack into the cockpit coaming), and putting dishwashing detergent on the mooring lines (to keep them from squeaking). Whew! For all you up there in the cold, frozen north, it was warm here in the middle of the night. Just super windy. On Sunday night, we had a view of the moon. 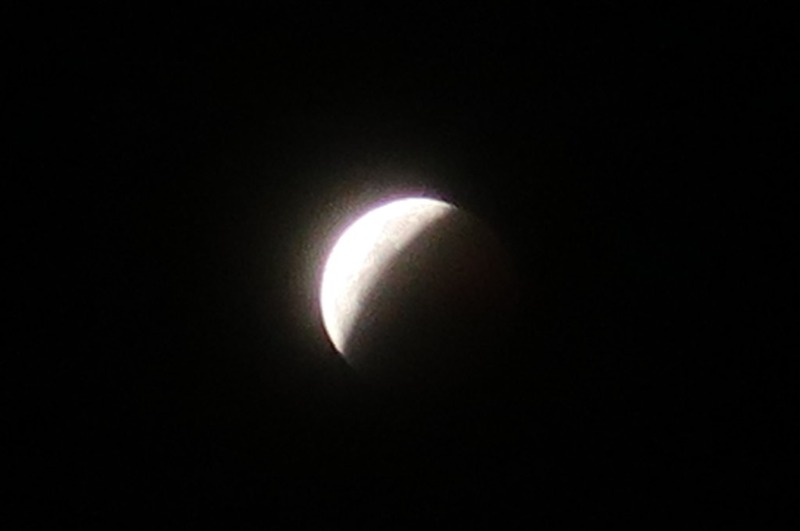 And despite occasional light clouds, we could see the eclipse. Okay, I know you’ve seen way better pictures, but those were probably not taken by a handheld point and shoot camera and probably not by someone clinging to a violently rocking boat in 25 kts of wind. 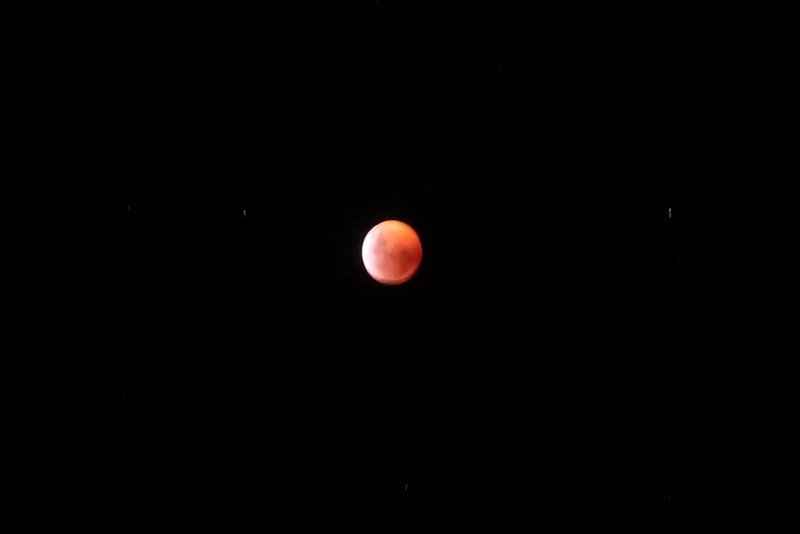 Here’s the Super Full Blood Moon, a/k/a Wolf Moon. Super because the moon is near its closest point to the Earth. Blood because sunlight leaking around the edges of the Earth makes the moon appear red; and wolf because that’s the traditional name for January’s full moon. Gorgeous. 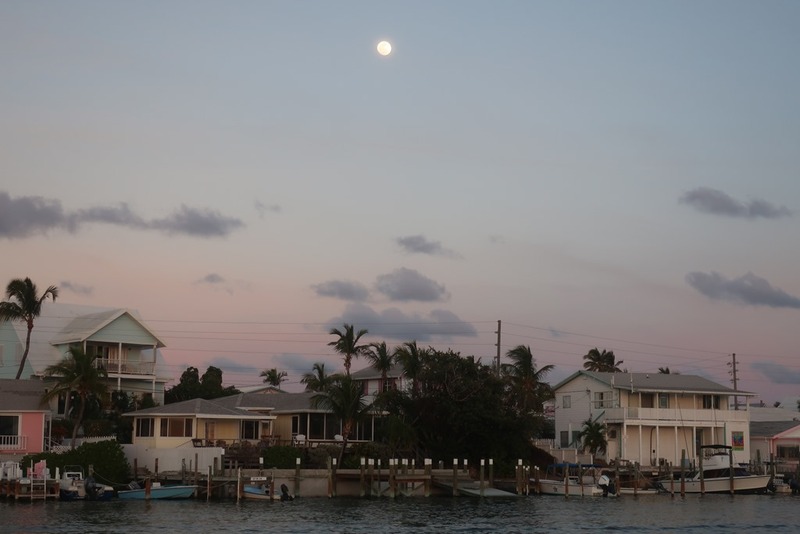 The full moon also brought us extreme tides. Super high tides. Almost over the Lower Public Dock. And super low tides. Now it’s a bit of a climb up to the Lower Public Dock. Meanwhile, we’re rocking and rolling on the boat. 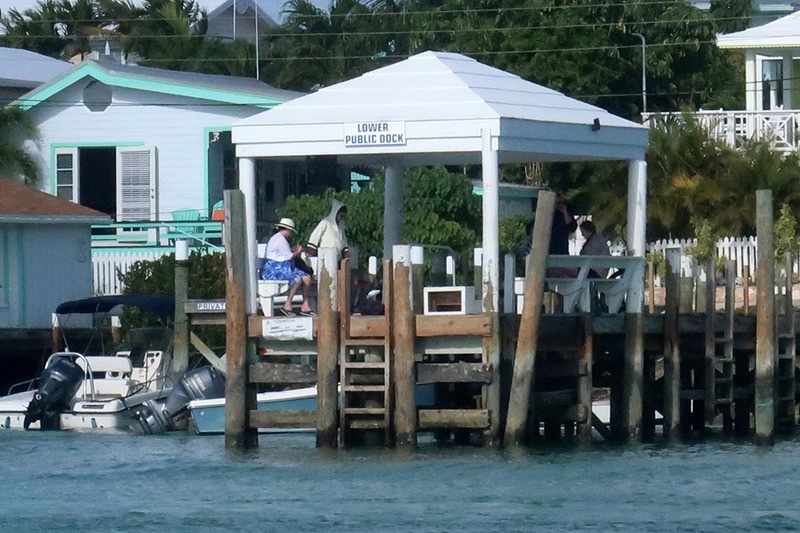 But we’re still very happy to be safely here in Hope Town harbor. I thought it was a very good picture! We had some light clouds here but a good view of the eclipse as well. 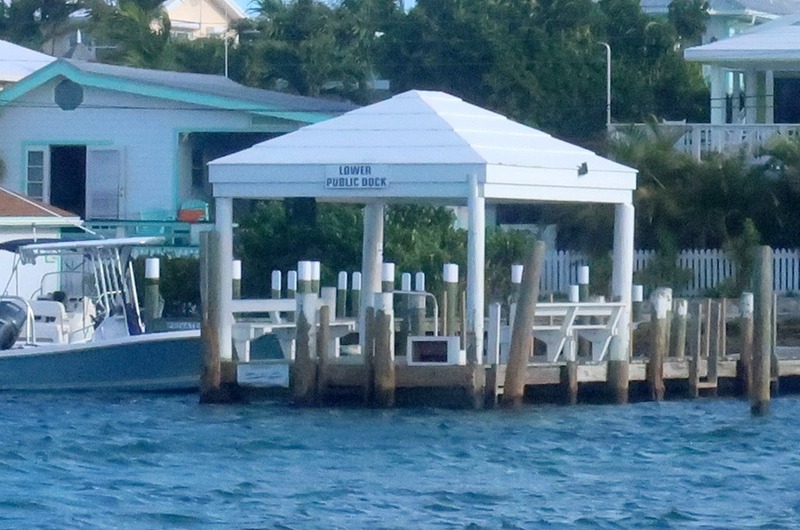 Wow….very interesting high and low pictures of the Public Dock….that’s quite a change. Light snow here on Monday but mostly melted. Super sunny today but cold….29. For a high! You don’t realize that the cold frozen north has its own special language until someone from here says its so cold (60 for a nighttime low) that he’s going to be wearing his toboggan and ski hat. Wow! The pictures are great! I can’t imagine doing all you guys do in the middle of the night much less in the day time. Adventures for sure. Hahaha. But we sometimes do nothing during the day. Although Goldwin just dinghied the garbage over to a dock for pickup and got caught in a rain shower. At least it’s not cold.